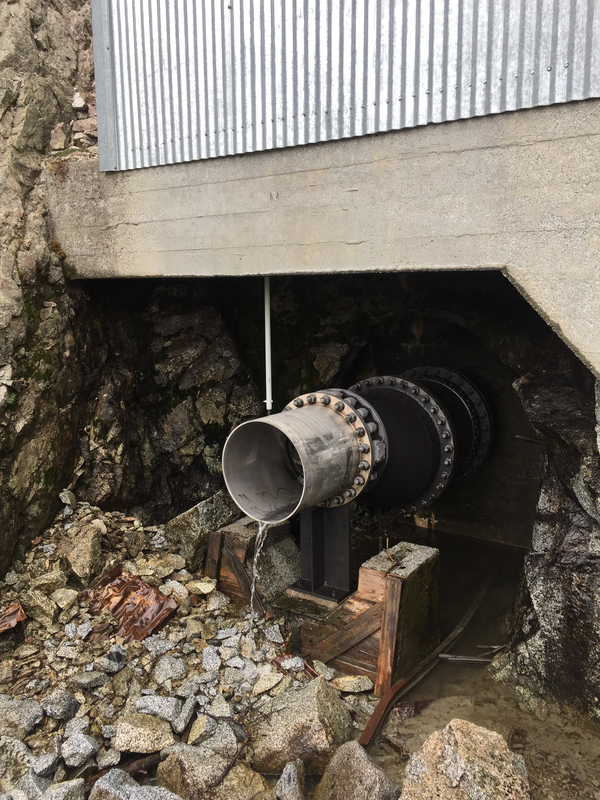 Snow Lake valve is scheduled to be replaced October 2019 (photo credit Steve Croci, USFWS, October 2015)CHELAN COUNTY, WA – The Bureau of Reclamation and U.S. Fish and Wildlife Service (Service) have issued the final Environmental Assessment (EA) and Finding of No Significant Impact (FONSI) for the proposed removal and replacement of the Upper Snow Lake water discharge control valve. The water control valve structure is located on land owned by the Service and surrounded by the Alpine Lakes Wilderness Area in Chelan County, Washington. The existing valve has exceeded its expected 10-year service life and cannot meet the 80 cubic feet per second discharge capacity required by the Icicle and Peshastin irrigation districts and Leavenworth National Fish Hatchery in the late summer, when cool, clean water is necessary for fish production and to meet irrigation demands. Reclamation and the Service have prepared this EA to evaluate the environmental impacts of removing and replacing the valve, including avenues for transporting materials, equipment, supplies, and contract personnel to the remote location. The draft EA analyzed three actions: a No Action Alternative (non-implementation) and two Action Alternatives (implementing the project as described above). Alternative 3, the Helicopter and Camping Alternative, was selected. Reclamation and the Service are co-lead agencies for the final EA and FONSI and have prepared it in compliance with the National Environmental Policy Act. The final EA and FONSI is available at https://www.usbr.gov/pn/programs/ea/wash/snowlake/index.html. For more information or to request a copy, contact Mr. Stephen Kolk, Wenatchee Subbasin liaison, Bureau of Reclamation at 509-667-8494.